This is another great event co-sponsored by World Denver. The United States has far more nuclear weapons and delivery systems than deterrence requires. The triad of intercontinental ballistic missiles, submarine-launched ballistic missiles and bomber aircraft reflects bureaucratic Cold War planning, not strategic vision, and constitutes a massive overkill in deterring our potential enemies. This overkill capability poses at least four dangerous consequences. First, it encourages leaders that benefit politically from our nuclear weapons posture to justify its existence by overstating our vulnerability to nuclear attack, frightening the public and skewing debate. 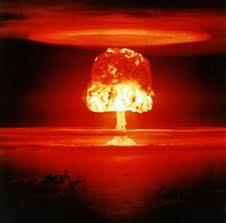 Second, it heightens the risk of nuclear weapons being misused, either through theft, sabotage or accident. Third, it sweeps in far too many of our best scientific and military minds, preventing top-notch scientists and officers from doing more productive work, Fourth, it wastes vast sums of money, placing an undue burden on taxpayers. "From Triad to Dyad" makes a formidable case for cutting the U.S. nuclear weapons budget. The Defense and Foreign Policy experts at the Cato Institute have researched and produced an insightful and highly compelling alternative to the illogic of our nuclear triad. They provide a step-by-step guide for creating a reduced nuclear weapons force – a realistic, effective dyad – and provide clear explanations on which legs of the present-day triad should survive. The origins of the triad – how it emerged from bureaucratic and political struggles among military circles in the early phases of the Cold War, and accommodated Air Force and Navy rivalries, rather than strategic necessity. Compelling reviews of how excessive our nuclear capabilities are in meeting current deterrence needs, along with an examination of our commitments to provide nuclear deterrence on behalf of allies capable of protecting themselves. Arguments for a reduced nuclear force – including recommendations to eliminate the bomber wing of the triad; shrinking the number of deployed and non-deployed ICBMs, and cutting the number of operational ballistic missile submarines. Details on cost-savings and realistic defense spending. 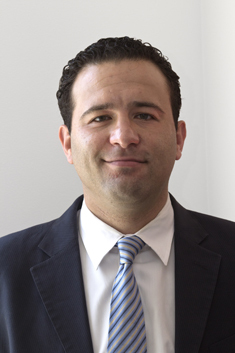 Benjamin H. Friedman is a research fellow in defense and homeland security studies. His areas of expertise include counter-terrorism, homeland security and defense politics. He is the author of dozens of op-eds and journal articles and co-editor of two books, including Terrorizing Ourselves: Why U.S. Counterterrorism Policy Is Failing and How to Fix It, published in 2010. He is a graduate of Dartmouth College and a Ph.D. candidate in Political Science and an affiliate of the Security Studies Program at the Massachusetts Institute of Technology.